The Dance Family Organization (DFO) are the parents of dancers in the Department of Dance and Movement that volunteer their time to ensure Department events run smoothly, that fundraising successfully supports the needs of DSA dancers, and to enhance communication with dance families and the broader dance community. The many activities and efforts of the DFO are planned with your help. 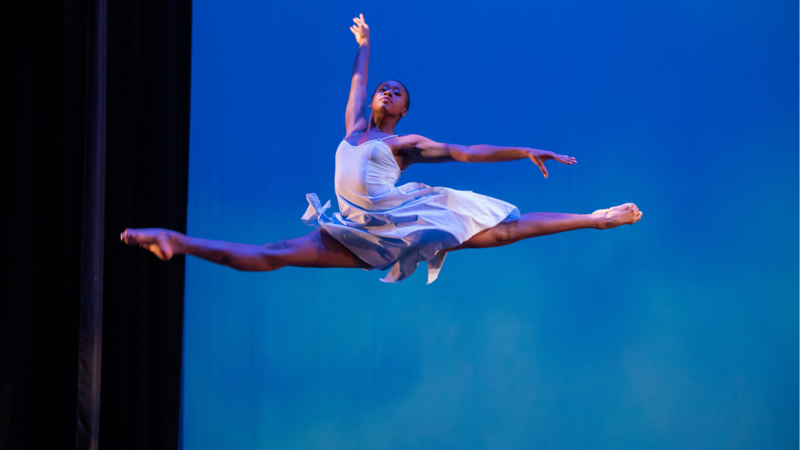 Your involvement is critical for the success of your dancer’s experience in the program. Many opportunities exist throughout each year for families to volunteer their time. Thank you. Have questions? Contact DFO using the email below. DSA has four to six school-wide visitation days in the fall for prospective students and their families. DFO provides a few volunteers each day to guide tours of the facility for those interested in auditioning for dance, and answer questions about the school’s arts and academic programs and the audition process. Saturday, November 3, 2018 High School Fall Preview Day in the Schomp. A free performance for DSA Parents and friends to see student choreographed and staff choreographed works in progress. Audience participation Q&A to follow. The DFO organizes an after school program and dinners for middle school dancers on the Thursday and Friday afternoons during the fall and spring concerts. It’s a great way to keep the dancers together, entertained, and well fed before their performances. Typically, Department of Dance and Movement auditions are held over several days. The process, though, begins with a mandatory pre-audition meeting in late November or early December (for prospective dancers who have already applied to DSA). DFO helps throughout the process by having volunteers assist with check-in, queuing, and guiding auditioning students and their families. Dance Senior Projects are presented at a concert normally held each February. The graduating dancers exhibit solo work representative of their cumulative DSA experience, as well as group choreography they’ve set on their Advanced Class peers. DFO provides volunteers (Box Office, an Usher, and a House Manager) for each performance. After the final Senior Projects Concert performance, DFO hosts a reception honoring the soon-graduating senior dancers. This long-standing tradition is supported by the DFO, assisting junior class families in organizing this catered event held in the DSA Commons. ***Mandatory Designer Run for Spring Concerts: Friday April 19th 3:30- 6:00. Both Middle and High School are required to attend this important rehearsal. The department’s annual Spring Concert, usually in late April, features DSA dancers performing guest artist choreography and Faculty works. DFO recruits nearly 50 volunteers for the shows (opportunities are listed online at volunteer.dsadance.org) and operates two fundraisers (concessions and flower sales) benefiting the department. In late April or early May, the Denver School of the Arts Department of Dance and Movement celebrates the end of the year by recognizing each of its dancers, especially graduating seniors (with often tearful goodbyes), at the annual Spring Banquet. This wonderfully catered and quietly elegant event is planned and organized by DFO. Have questions? Use the contact DFO will either give you an answer or connect you with someone who can.